Sears Canada warns there are doubts about its ability to continue operating, and said it may have to restructure or be sold. Sears Canada warned Tuesday there are doubts about its ability to continue operating, and says it may have to restructure or be sold. The retailer, which has been trying to reinvent itself, said its ability to keep going is dependent on obtaining additional sources of funding, which it hasn't been able to do. "Based on management's current assessment, cash and forecasted cash flows from operations are not expected to be sufficient to meet obligations due over the next 12 months," the company said. In the wake of the news, shares of Sears Canada fell 27 cents to reach 87 cents on the TSX. They got as low as 50 cents earlier in the day's session. Sears said it had hoped to tap into about $175 million, minus transaction fees, through an existing loan arrangement secured against its real estate holdings. However, based on current negotiations with its lenders, Sears said it will only be able to get $109 million, before fees. Sears said the reduced loan size, coupled with a lack of other readily available sources of liquidity, means "there are material uncertainties as to the company's ability to continue to satisfy its obligations and implement its business plan." "Accordingly, such conditions raise significant doubt as to the company's ability to continue as a going concern." The company said it has hired BMO Capital Markets as a financial adviser, and Osler, Hoskin & Harcourt LLP as a legal adviser. In light of its financial situation, Sears Canada also said it has postponed its annual meeting, which had been set for Wednesday. As it issued its warning, Sears reported its first-quarter revenue dropped by 15.2 per cent from the same quarter last year. A "significant" reduction in printed catalogues due to lower customer demand. Some products not being available online while Sears made technology changes. A cut in the number of its merchandise pickup locations. However, Sears said sales at stores that had been open for at least 12 months increased by 2.9 per cent in the first quarter, compared to the same quarter last year. The company said its loss for the first quarter was $144.4 million, or $1.42 per share, compared to a net loss of $63.6 million, or 62 cents per share, in the same quarter last year. Sears said 10 new-format stores are expected to be completed between June and August this year, which would give the company a total of 14 revamped outlets by the end of its current fiscal year. As of Jan. 28, Sears had 95 full-line department stores, 26 Sears Home stores and 14 outlet stores. It also had 69 Hometown stores, 32 franchised and corporate-owned Corbeil stores, and 830 catalogue and online pickup locations. 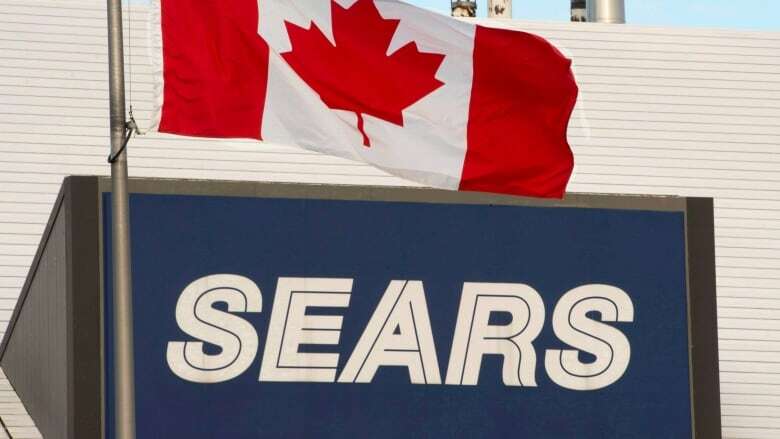 Sears Canada operates as a separate entity from Sears Holdings in the United States, but Edward Lampert, chairman and chief executive officer of the U.S. chain, is a hedge fund manager with a controlling interest in the Canadian operations.